PrettyFit is a new women’s fitness and health subscription box – it’s kind of like a full size version of Bulu Box, and you get to preview the boxes before they ship – you can skip any month you aren’t interested in. 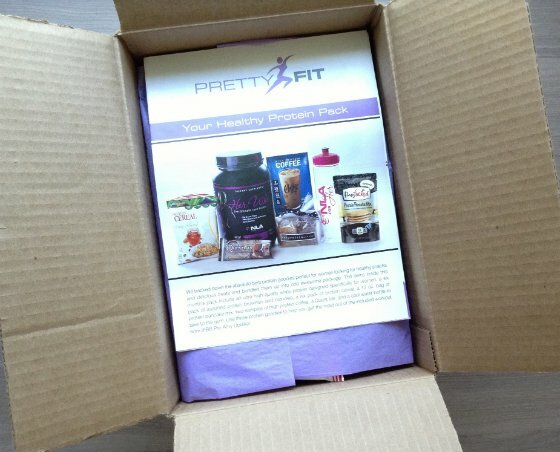 PrettyFit kindly sent me this box to review! 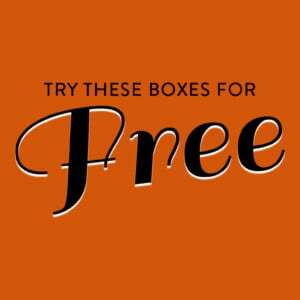 COUPON: Use coupon code MSA10 to save $10 off your first box! Each box comes with a fold out sheet detailing all of the items included, why it was selected, and how to use it. We’ve received a FlapJacked sample before in another subscription box, and while I couldn’t try the pancakes because of wheat and dairy, my husband liked them a lot! Also I was pleasantly surprised to see a full-sized whey protein mix in this box! This one is full of vitamins too, and free of gluten and sugar. This Chike Protein Coffee mix has 20 g protein, 2 g sugar, tons of vitamins and the equivalent of two espresso shots! (And it gets amazing reviews on Amazon). And these brownie bars from The Protein Bakery have 4 grams of protein per mini bar. (They are preservative-free, so they recommend putting them in the freezer if you won’t be eating them soon). This protein bar has a refreshingly short ingredient list – and 20 g of protein and only 1 g of sugar! Verdict: This month’s PrettyFit box has a value of about $100 (plus my box was missing the bonus water bottle, so that would have added more to the value). I think it’s a great deal for $45 a month, and I’m impressed with the curation – every item I looked up on Amazon has great reviews – they clearly picked out only great products! What do you think of PrettyFit? I received this box earlier this week and I absolutely LOVE IT! It is my favorite sub box thus far. Also, mine came with a jar of powdered PB. I subscribed to this for September and although I received confirmation my box would ship the third week of September when I log into the site it tells me that I’ve opted to skip this month. I’ve already been billed for it. I have tried emailing them, tweeting at them, and using their customer service forms but the emails bounce back and I haven’t heard anything through the other methods. Is anyone still receiving a box from them? Is this a dud subscription? Reached them via Twitter and all is well! I saw a review for the September box on a different blog today. Hope yours comes soon. This looks great! I particularly liked the option to choose boxes (and I picked protein because that’s what I need) or to skip months. Reminds me of Bespoke Post. Omg!!! I love this box. I got mine today and it shipped over a week later than originally stated but they emailed me letting me know and through some extra samples amino acids green apple. The kids and I devoured out way through the brownie pack… Ummm so delicious. I super love the HerWhey protein. So glad you told us about this one I’m am really impressed with them n their customer service . Oh, and I LOVE how each box supports charity as well! Win-Win in my book. Ooh, I like the idea of this box. I wish there were more fitness things in it and not just food items, though, they are great there is more about fitness than food alone. So, I think a work-out or something along those lines would be a good addition. Def a box I’d like to check-out though. I love the fact you can preview the box, and there are multiple boxes listed on their site (the prepared, the bikini, the protein…) unless those are just prior boxes and not just a choice for this month? Either way, I think I’ll try it. I’ve been getting this box for 3 months now and the fold out includes exercise instructions. They also send out an occasional email relating directly to fitness/exercise. Yay – glad you liked it. I think the value is great! Thank you for the code! I just signed up for my first month. Hopefully I’ll love the box and keep my subscription. I just ordered. How awesome does this box look? I love that you can see what’s in it. You have the option to ship and i’m so excited to try that Whey and protein coffee!!! Ahhhh August 8th let the countdown begin!!! I would totally get this if they had a vegan option for the protein. I currently use Vega Protein, but whey freaks me out a bit. I couldnt resist…. 🙂 so excited!! What a great looking subscription! The cost can be on the high side for subscription boxes but for this particular box I think the value is clearly there. I saw the other box option for the bikini ready and that one I’m not sure is worth the $45. However, the fact they let you skip any month is reassuring that if you don’t like the selection you can skip it; I also saw they are working on trying to allow subscribers to swap out for a different box of their choice if they don’t like the current months selection. Thanks for the review Liz! When I subscribed about put in the promo code it showed the adjustment on the screen; a slash through the $45.00 and then the new total adjusted to $35.00. Hopefully they can resolve the issue via your e-mail they sent and then we can get some idea on their customer service. I always get nervous with new subscription services because they usually have some growing pains to go through before they find their stride. I can be patient with through the growing pains if the customer service is good and the company communicates efficiently and honestly to their customers. Thanks Sara for your answer .I still waiting from them something, maybe on next week I will know something about my purchase. This is getting closer to what I would want to see in a fitness box (am guessing most of the items are vegetarian) than anything I’ve seen before. But the cost is still a bit high for me. I’d consider a mini version of the same box in the $18-25 range, maybe with fewer of the duplicate samples and smaller sizes of the large items (i.e., something less than 2 pounds for the whey protein! ).